Atletico Madrid midfielder Matias KRANEVITTER has commented on next season and how would like to be part of the World Cup team. 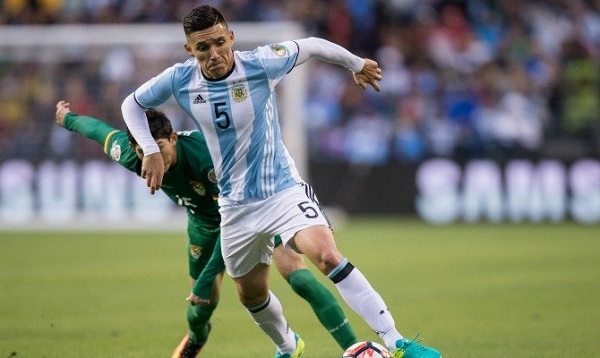 KRANEVITTER has 8 Argentina caps to his name but with new coach Jorge SAMPAOLI taking charge, it could be more difficult to make the team. Loving all these competitive and determination for NT spot. Now everyone knows if they play good they will be pick. I pray a good season for him. Simione will play big part of him playing at WC or not. i am very disappointed by his development…very! i think he is done! a Player with such a high praise before his move showed nothing in europe…he is 24…he should dominate with this Age…playing full seasons…be a starter…a leader…None of this happened…i dont watch him anymore….he is just another pastore…very sad to see!